Michael Buble. Image via Getty Images. Don’t let Michael Buble’s busy schedule fool you. When it comes to priorities, the Canadian crooner won’t even try to hide that family always comes first. In a new interview to celebrate his new sold-out world tour, the 43-year-old Burnaby, B.C. native shares his new out-look on life after his son Noah was diagnosed with liver cancer in 2016. “I don’t even think about my career,” Buble told USA Today, saying that aside from his family, everything else ranks “zero” on the scale of things to care about. Buble and wife Luisana Lopilato. Image via Getty Images. With Noah, now 5-years-old and currently in remission, Buble is making sure he schedules family time into his schedule. 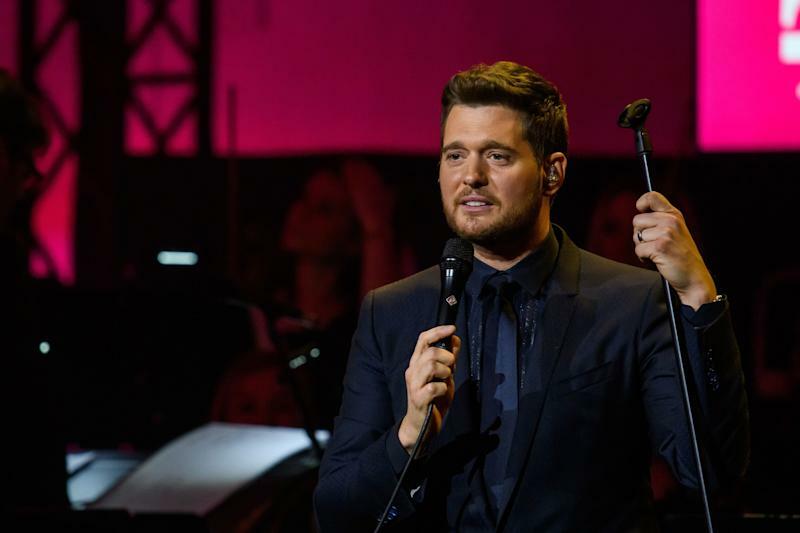 In fact, for every three weeks of his tour, Buble will spend at least two weeks at home with his wife Luisana Lopilato, Noah, and his two other children, 3-year-old Elias and 7-month-old daughter Vida. Although he’s excited to be stepping back into the spotlight, he admits he toyed with the idea of retiring from music all together. "When I was gone, I never knew if I would come back," Buble recalled. "And I remember that my promoter had told me, he said, ‘Michael, if you do decide to come back, you have to prepare yourself. One of two things is going to happen. Either absence makes the heart grow fonder, or it's out of sight, out of mind.’ He’d worked with many of the greatest artists in the world, and when they had gone away for whatever reason, sometimes, they didn't ever get to come back." For Buble, his return since taking time off to focus on his family and his son’s health has been overwhelming. "Do you know how many people walked up to me on the street yesterday? I went to Disneyland yesterday with my kids, and how many people walked up to me and put their hand on (me) and said, 'We prayed for you?'" he said. "It was sad because you have to relive a lot of stuff, but at the same time, it gave me faith in humanity and the goodness of people."